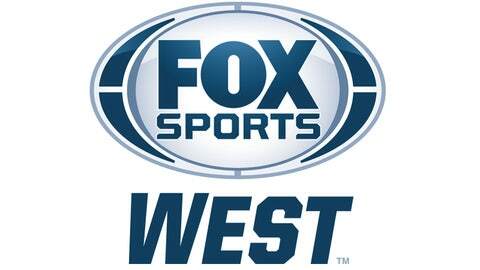 Fox Sports Net, Inc. ("FSN") and Fox Sports Interactive Media, LLC ("FSIM, " collectively with FSN, "Fox" or "we" or "us") operates the website www.FoxsportsWest.com ("FoxsportsWest.com" or "Site"), which is an entertainment website including community features that allows users to discover content and view and comment on content. The services Fox offers include any Fox-branded URL (including without limitation the Site) and any services, including online community features, public forums, newsletters, polls and any other features, content, or applications offered from time to time by Fox in connection with Fox’s business, including when accessed via the Internet, mobile or other device (collectively, the "Fox Services"). Fox is part of the United States based operations of Twenty-First Century Fox, Inc. Registration Information: is the required information that a user must provide when they register as a Member with the Site ("Member Profile," also called a "user account"), or enter a contest or sweepstake, and may include first and last name, email address, username and password ("Required Registration Information"). Subscription Information: is the information that Subscribers must provide to us in order to receive a Fox newsletter or mobile alerts, and may include first and last name, email and phone number. Site Product Purchase Information. If you elect to purchase any Site Product through the Site you will be required to provide personal financial information, including your credit card information, billing address or other payment information (collectively, "Personal Financial Information"), full name, phone number and shipping address in order to purchase such Site Service. You must be 18 years of age or older to submit Personal Financial Information on the Site, including to place an order on the Site. Public Forum Login Information. If you elect to post comments on any of the public forums provided on the Site you will be required to select a username and provide your email address. Your username will be public, which means it is available to everyone and will be displayed in search results on the Site and on external search engines. Please select your username carefully. Public Information and Posts consist of your username and, if you provide one, your profile picture and any additional information you chose to make public through your Member Profile and your posts and comments on the Fox Services outside of your Member Profile. Your posts and comments outside of your profile include those made on other Member Profiles and on general Fox content, such as Fox provided photos, and in general Site areas, such as forums and chats. Your Public Information and Posts are always public, which means they are available to everyone and will be displayed in search results both on the Fox Services and on external search engines. However, when you post content or comments on another Member’s profile, that information will be disclosed consistent with that Member’s Privacy Settings. Third-parties that support the Fox Services by serving advertisements or providing services, such as allowing users to share content, purchase Site Products or post to the forums or tracking aggregate Site usage statistics, may also use these technologies to collect similar information. Fox does not control these third-party technologies and their use is governed by the privacy policies of third parties using such technologies. For more information about third party ad networks that use these technologies, see www.aboutads.info/consumers. Most browsers are initially set to accept cookies, but you can change your settings to notify you when a cookie is being set or updated, or to block cookies altogether. Please consult the "Help" section of your browser for more information (e.g., http://windows.microsoft.com/en-US/windows-vista/Block-or-allow-cookies). Users can manage the use of Flash technologies, including cookies, with the Flash management tools available at Adobe’s website, see http://www.adobe.com/products/flashplayer/security/privacy_policy/faq.html. Please note that by blocking any or all cookies you may not have access to certain features or personalization available through Fox Services. Third Parties. To improve the quality of the Fox Services, we may supplement the information we collect with information that is collected or provided by third parties. If you access the Fox Services through a third-party connection or log-in, we may also collect your user ID and/or username associated with that third-party service, or any information you have made public in connection with that service and which the third party shares with partner services. Fox Members’ Public Information and Posts are always publically available to anyone, including other users, search engines, advertisers, third party application developers, and anyone else with access to the Fox Services. To allow third party service providers to assist us in providing and managing theFox Services. Fox may make your non-public personal information available to certain third-party service providers, such as contractors, agents or sponsors, who help us manage or provide Fox Services by, for example: developing or supporting the Fox Services and features; collecting, transmitting, storing and/or processing Personal Financial Information, fulfilling purchase orders, administering message boards, processing data or statistics or assisting with the administration, judging and prize fulfillment aspects of contests, promotions and sweepstakes. These third-party service providers are required to protect non-public personal information entrusted to them and not use it for any other purpose than the specific service they are providing to you and Fox. To deliver relevant content and recommendations. To make your experience more interesting, we may use any of the information you provide, the information we collect about your page views and queries, and information we may collect from other users and third parties to assist us in recommending content on or through the Fox Services. To contact you. Fox may periodically send promotional materials (e.g., newsletters) or correspondence related to the Fox Services to the email address you provided to us at registration. If you want to stop receiving correspondence from Fox, you can change your newsletter preferences settings under "My Profile," or follow the unsubscribe instructions at the bottom of each email. There are certain service notification emails that you may not opt-out of, such as notifications of changes to the Fox Services or policies. To protect the rights of Fox and our users. There may be instances when Fox may disclose user information without providing notice or choice, including situations where Fox has a good faith belief that such disclosure is necessary in order to: (i) protect or defend the legal rights or property of Fox, our Affiliated Companies or their employees, agents and contractors (including enforcement of our agreements); (ii) protect the safety and security of users of the Fox Services or members of the public including responding to emergencies where there appears to be a danger of death or injury to any person; (iii) protect against fraud or for risk management purposes; or (iv) comply with applicable laws, rules and regulations ("Applicable Laws") or legal process. To complete a merger or sale of assets. If Fox sells all or part of its business or makes a sale or transfer of its assets or is otherwise involved in a merger or transfer of all or a material part of its business, Fox may transfer your information to the party or parties involved in the transaction as part of that transaction. Fox uses commercially reasonable administrative, technical, personnel and physical measures to safeguard user information in its possession against loss, theft and unauthorized use, disclosure or modification. User Control and Account Cancellation. Through the My Profile option, you can access and edit your Required Registration Information, Member Profile Information and newsletter and mobile alert preferences. If you would like to deactivate your Member Profile you may email us directly; subject line: Deactivate Membership Account or you can go to your Member Profile option and elect to deactivate your account. We may retain backup information related to your user account and Subscription on our servers for some time after deactivation for fraud detection or to comply with Applicable Law or our internal security policies. Because of the nature of caching technology, your account may not be instantly inaccessible to others, and there may be a delay in the removal of the content from elsewhere on the Internet and from search engines.